What a fun little baby doll! She makes such sweet sounds! 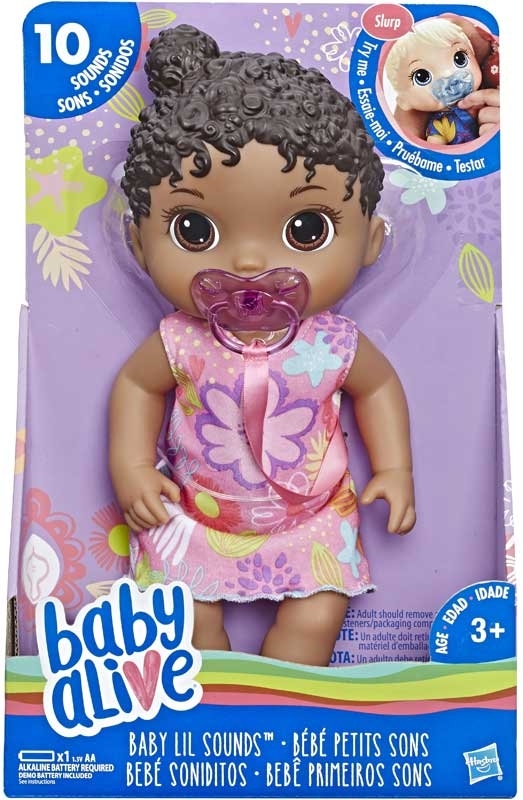 Baby Lil Sounds by Baby Alive is an interactive baby doll that makes real baby sounds when kids play with her. She reacts when kids put her to bed and when kids wake her up. When she wakes up, dress her in her removable dress to get her ready for the day. Uh oh, baby is making cranky noises! Kids can give Baby Lil Sounds her dummy to soothe her and shell react, making pacifier sucking sounds. She can even react with real baby sounds when her dummy is removed!